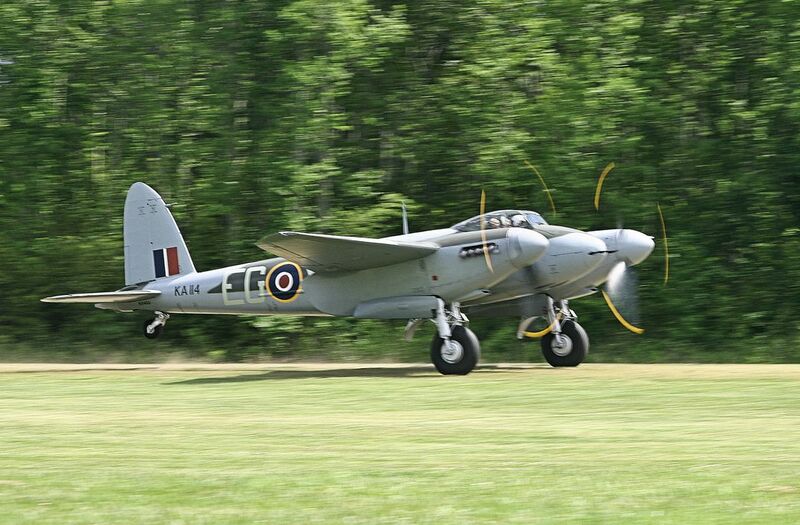 This is one of only two (as of 2014) air worthy British DeHavilland Mosquito aircraft. The plane is owned by the Virginia Military Aircraft Museum and this was the first flight since restoration. The Mosquito has a wood frame and plywood skin. Date Uploaded: Nov. 14, 2015, 9:17 p.m.